Apartment Villa Vallet 12 is a duplex apartment set over 2 floors. It has three spacious double bedrooms and a mezzanine area sleeping an additional 2 guests. 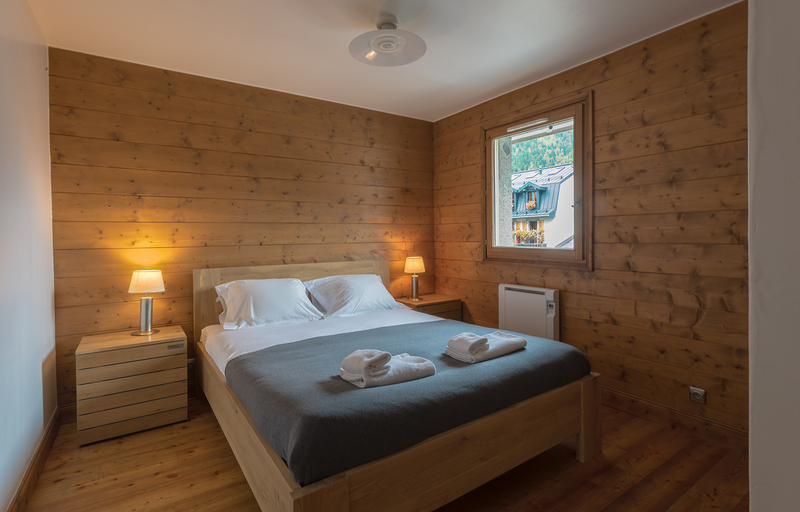 The apartment is modern and all set up with everything you need for a great holiday, with wifi, A Sonos sound system, a designated underground car parking space, ski locker, and a lovely balcony. The building is modern and well placed in the very centre of Chamonix just a few steps from the main pedestrianised street, and from the main ski bus stops. 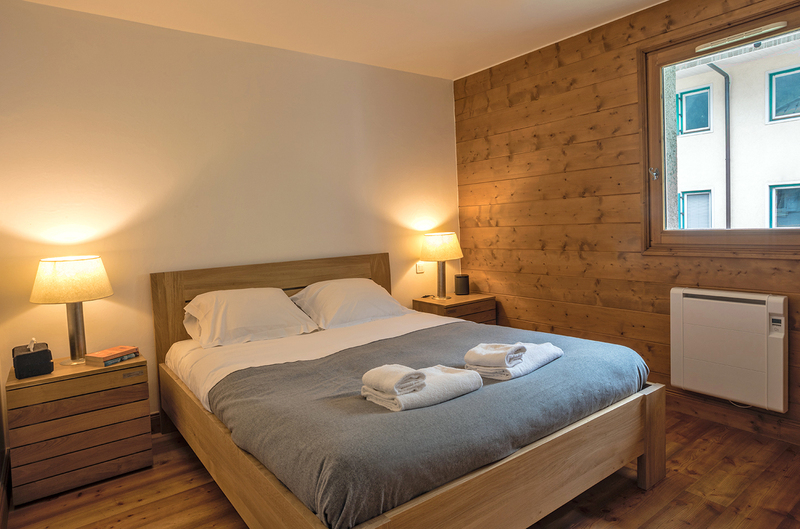 The Villa Vallet residence is in the very centre of Chamonix, with very easy access the shops, bars & restaurants, as well as being slightly off the high street to avoid noise. 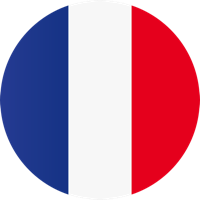 The savoy lift is a short walk away which gives access to the Flegere and Brevent ski areas, and you can walk to the Plan Praz lift in 5 minutes. For other areas the bus stop is also a short walk away. Open plan living/dining/kitchen area with comfy seating, TV/DVD player and south-facing balcony. Fully equipped kitchen with fridge-freezer, oven, stove, and microwave. Bedroom 1 – Double bedroom with 1 double bed. Bedroom 2 – Double bedroom with 1 double bed. Bedroom 3 -Double bedroom with 1 double bed. Mezzanine area with additional double sofa bed. Bathroom 1 – Shower over bath & basin. 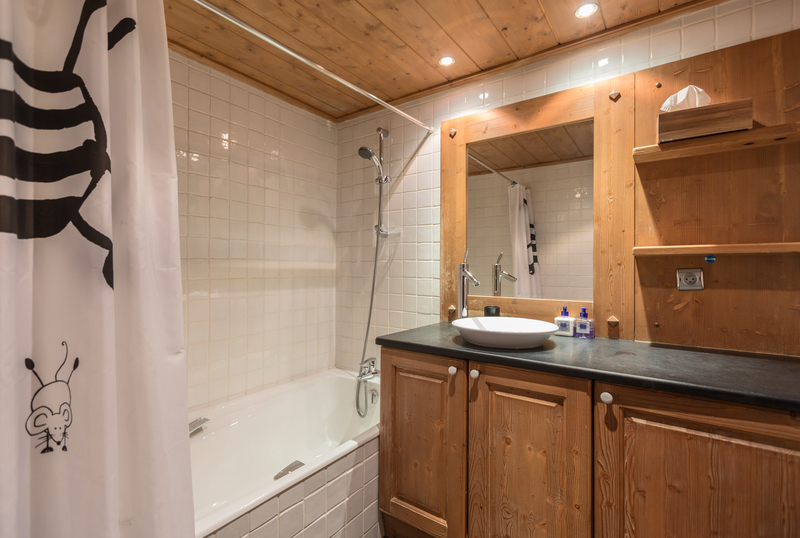 Bathroom 2 – En-suite with shower, basin & WC. Bathroom 3 – En-suite with shower, double basin & WC. Separate WC. Washing machine/tumble dryer. Entirely new cutlery, porcelain and glassware, Exterior Designated parking space in the underground parking and ski locker.